Work was completed on this £6 million scheme which was the focus of the regeneration of the Halewood community in 2012. 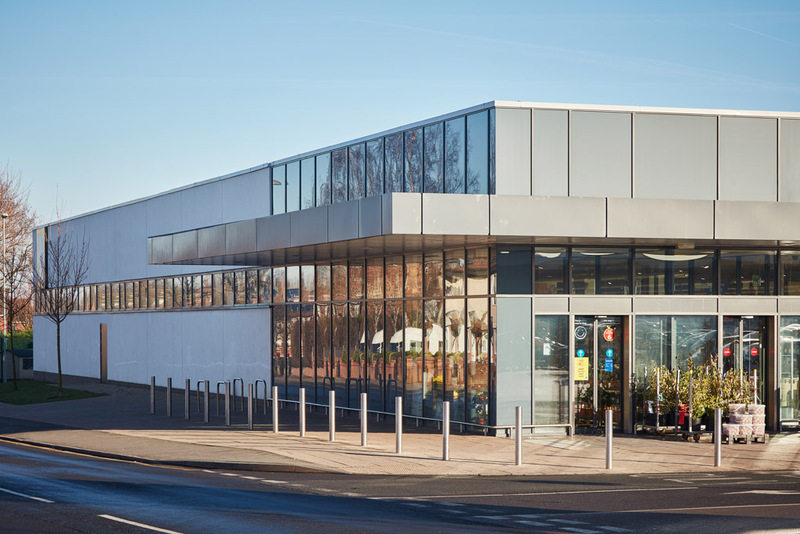 The 40,000 sq ft commercial centre is anchored by an Aldi supermarket and is also home to a Tesco Express, Home Bargains, Iceland, Ladbrokes and Barnardos. Local established businesses are also part of the Leathers Lane scheme with a hair and beauty salon and a newsagents included from the initial planning stage. The scheme also includes a new bus interchange and 243 car parking spaces and is integrated with an adjoining Health Centre and Council offices.